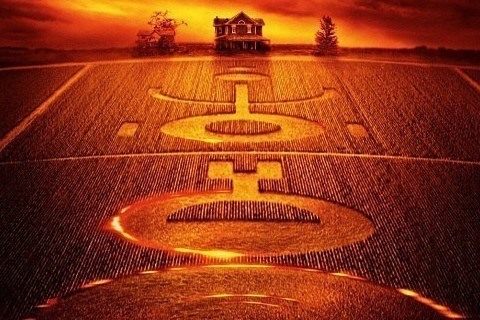 The M Night Shyamalan film follows a family living on a farm who find their field covered in mysterious crop circles, suggesting that something out of this world is about to come. The crop circles were made for the film instead of using CGI. The film marks Abigail Breslin's film debut.